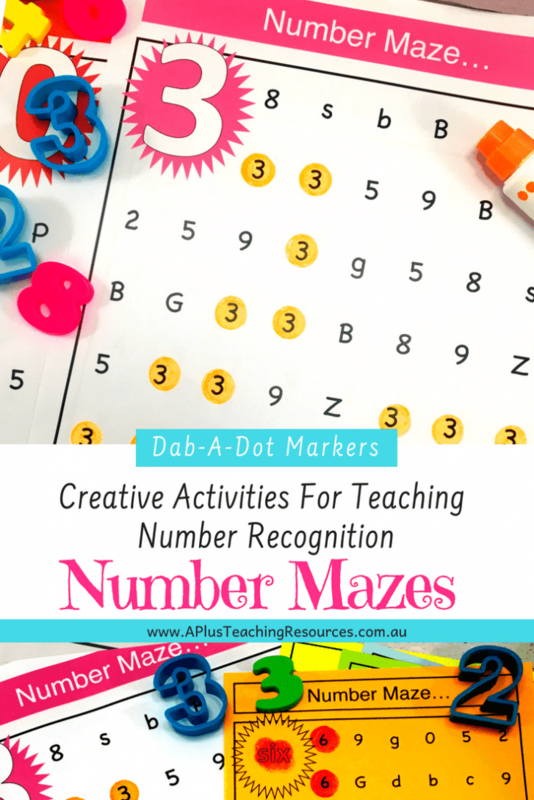 Our number recognition printables are the perfect activity to use with Do-A-Dot Markers. 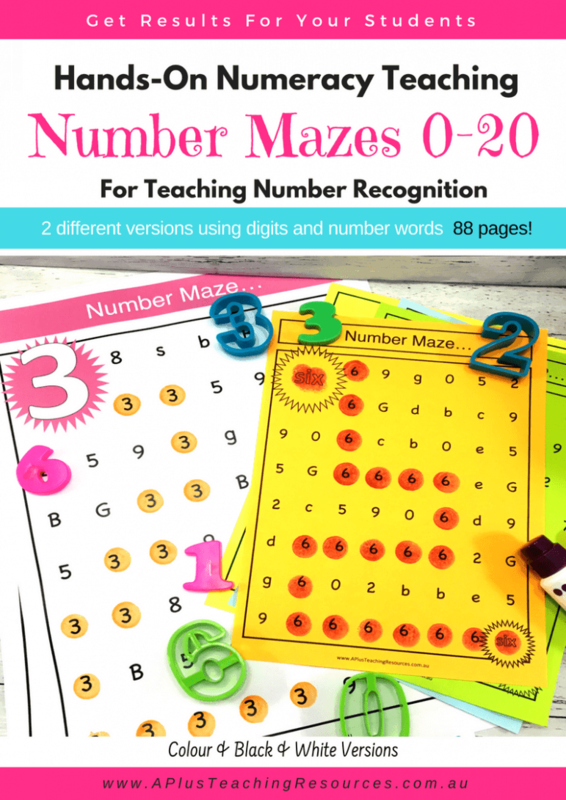 Try these Fun, Hands-on Mazes for Teaching Number Recognition now! 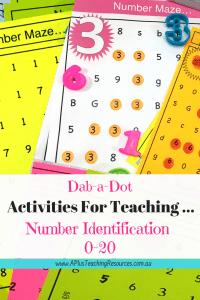 Teaching number recognition or learning to identify and name numbers, is one of the first things a kindergarten or pre-schooler will learn how to do. It is a complicated concept and involves much more than being able to name a number. 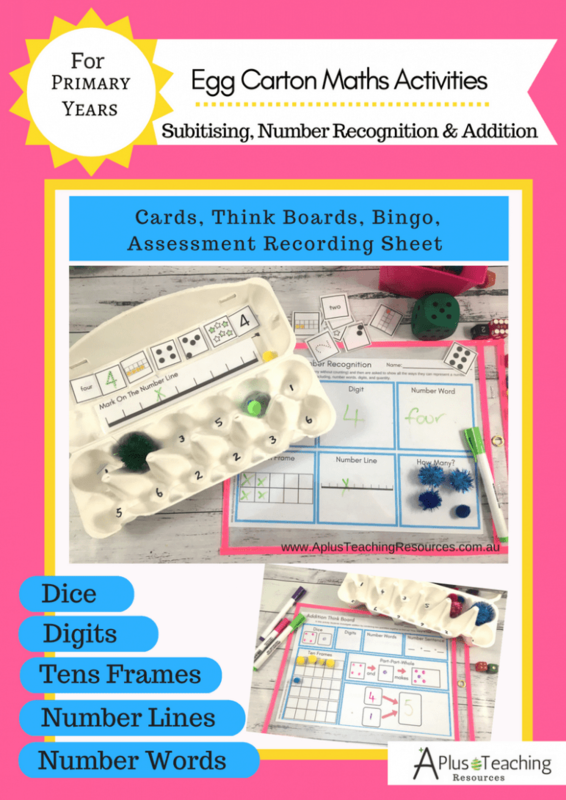 Traditional flash-card activities will help with recalling and naming different numbers, but this is a long way from teaching children a deep mathematical understanding about number recognition. *Some links in this post are affiliate links. This will not affect your buying experience at all, but A Plus Teaching Resources will receive a small compensation in compensation for referring your purchase. 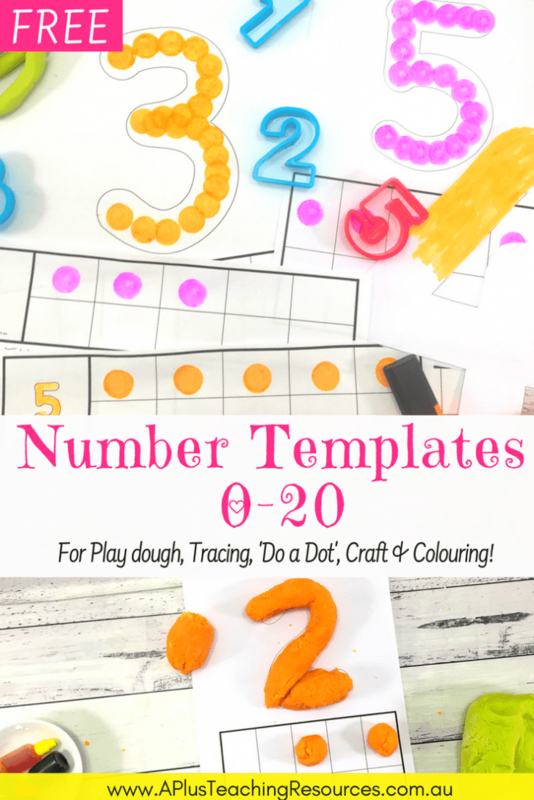 For this to happen children need numerous opportunities to discover and explore the connection between number names, numerals and quantity (counting). 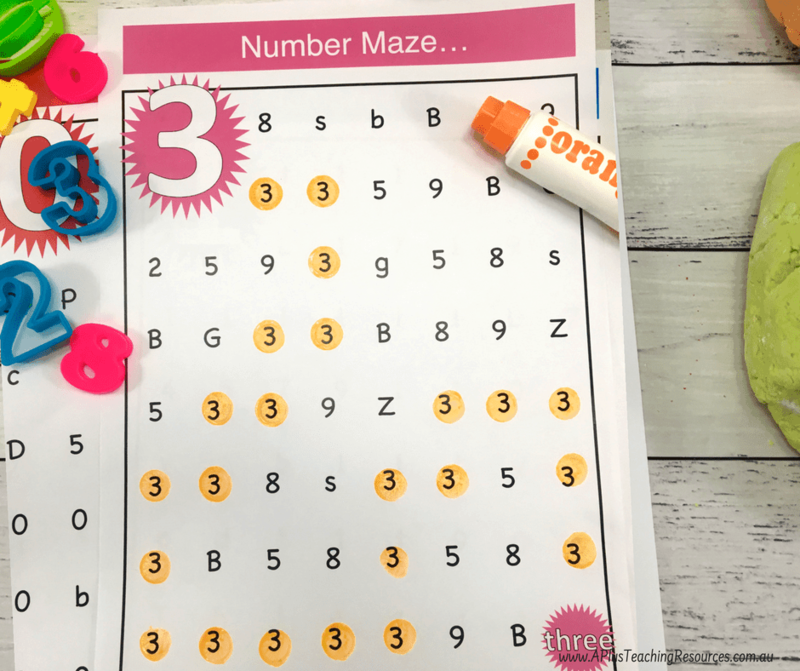 Try these engaging hands-on printable number games, teacher resources and free teacher worksheets and printables next time you’re planning and teaching numeracy, for excellent results for your children! 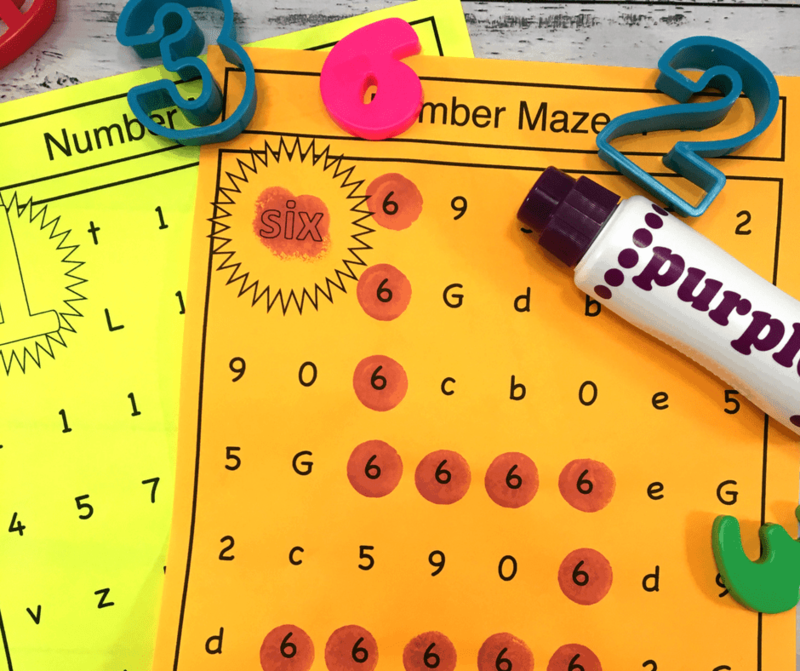 Our Number mazes are the perfect number recognition printables for homework, early finishers, partner work or as an independent math center. 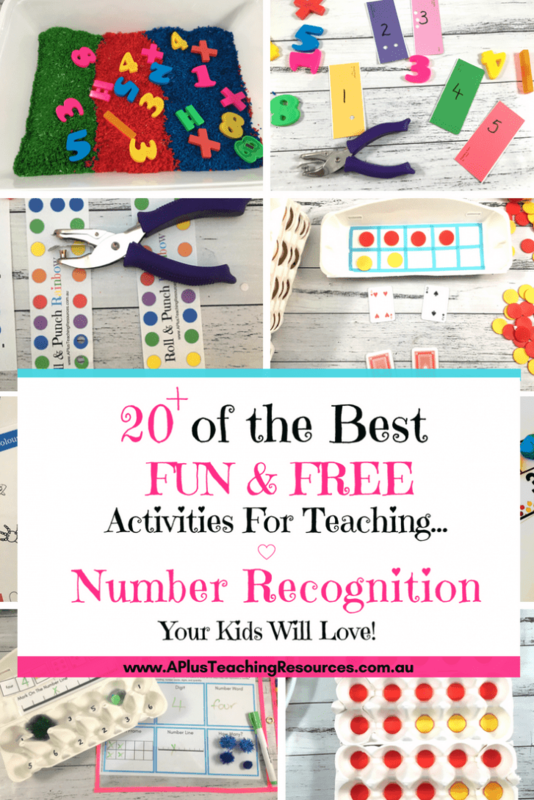 These FUN number recognition games will help your kids to learn how to distinguish numerals from letters and learn and practice number words & digits 0-20. Your kids will love them! 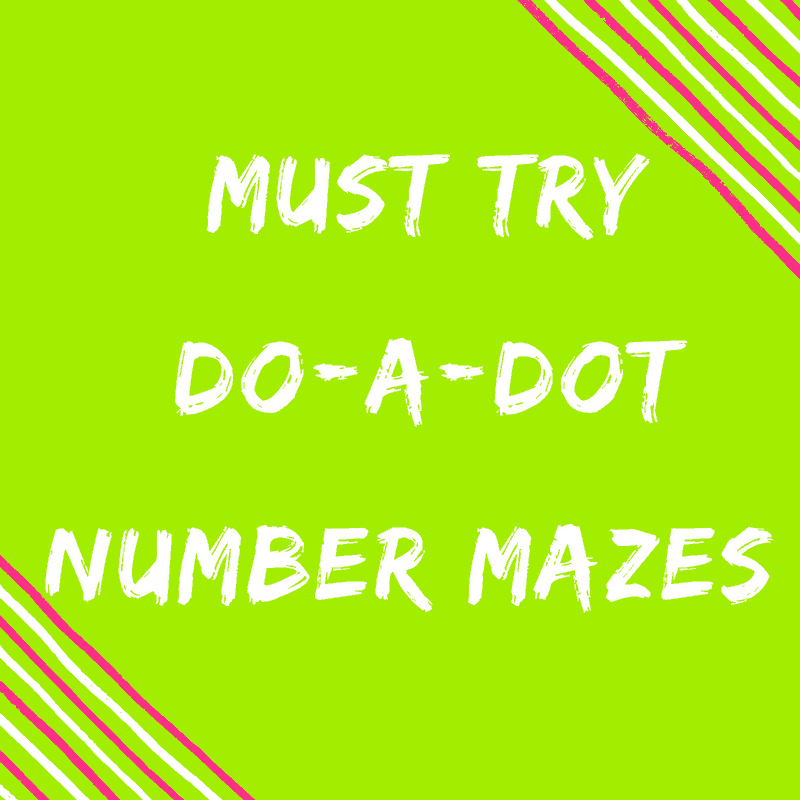 These fun math games are not as easy as you think, we have designed the mazes to include visually similar numbers and letters so the kids will have to concentrate to find what they are looking for. 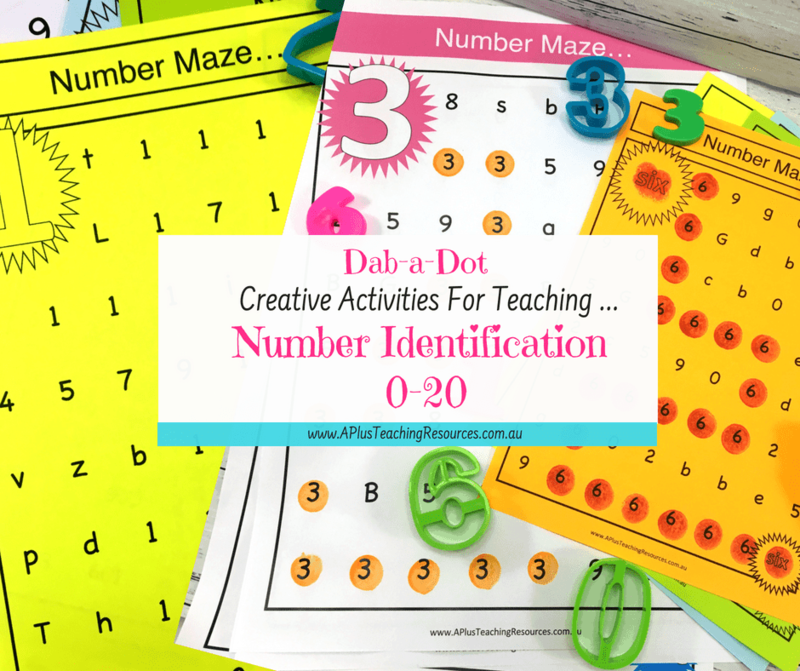 We used bought do-a-dot markers for the kids to use to complete the number recognition printables. They just love using dabbers. 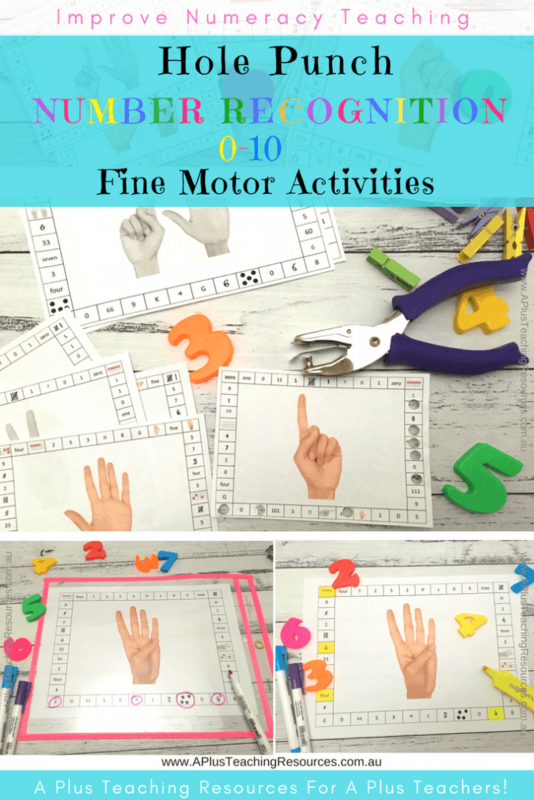 What’s more they are great for building fine motor strength! We use the mazes as a one off sheet on A4 or blown up to A3 sized paper. You can laminate them or use the reusable dry eraze sleeves to save on printing and paper! They work well in a centre too! 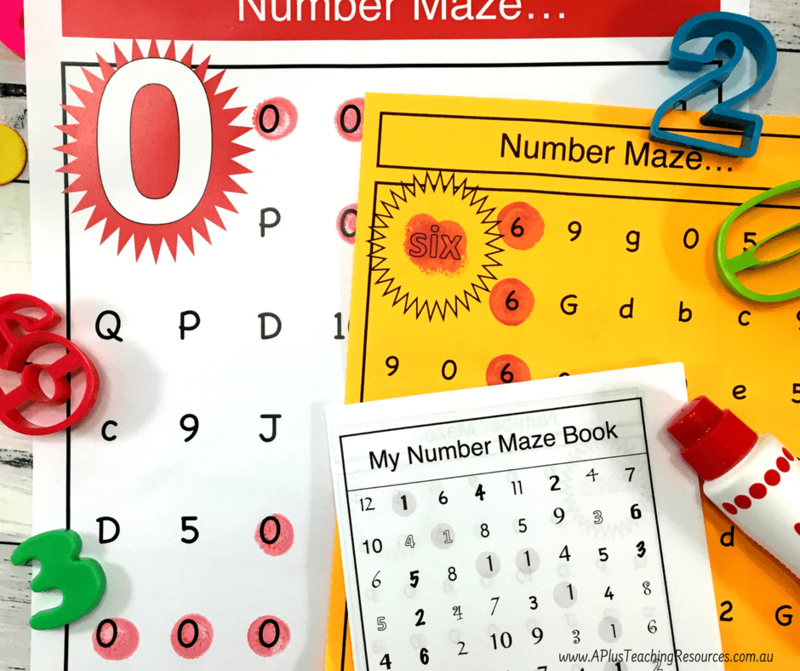 Our favourite way to use the number mazes in in a mini number book! We also included 2 BONUS Number Dice Games! 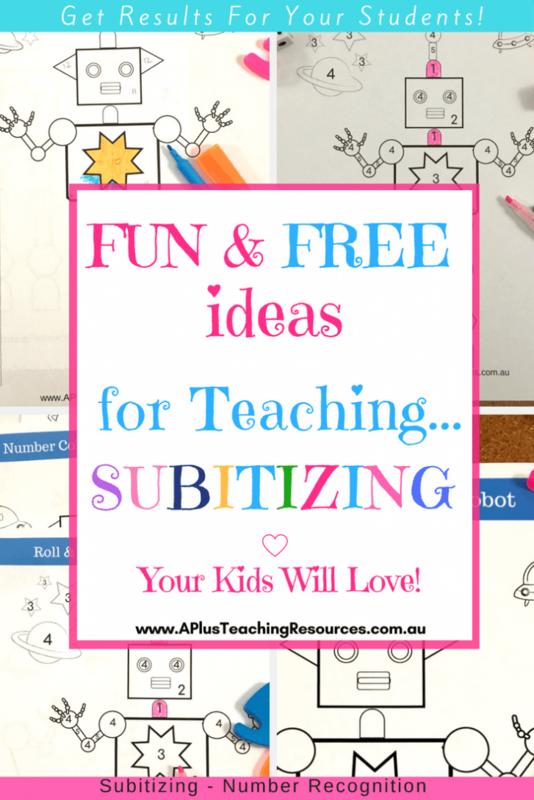 Previous post: FREE Playdough Mats Guaranteed To Make Learning Fun!